The Stratigraphic Museum at Knossos. The British School at Athens seeks to appoint an assistant to take leading role in the curation and documentation of the holdings of its Stratigraphic Museum at Knossos. The successful applicant will join an established project, completion of which will take a further three years. The post, which is funded by a grant from the Institute for the Study of Aegean Prehistory, is for 12 months in the first instance, with a stipend in the area of £8,500. The Stratigraphic Museum at Knossos is used year-round by a variety of teams from the UK, Greece and elsewhere, as well as hosting courses for students and the visits of individual scholars. It holds material from over one hundred years of British excavations at the site, dating back to the time of Sir Arthur Evans. This material covers all periods from the Neolithic through to late Antiquity, with particularly large collections from the Bronze Age palace and surrounding structures, the Neolithic tell below the palace, and from the Hellenistic to Roman buildings of the city. 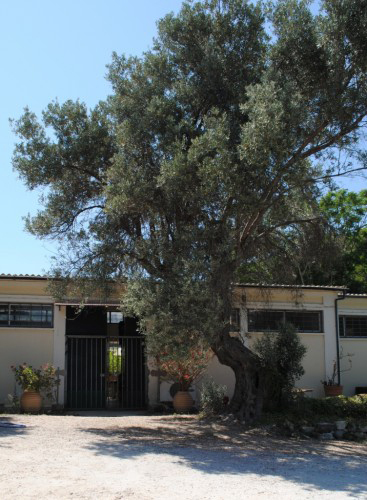 School facilities at Knossos also include a hostel and a research library, and are situated on the outskirts of Heraklion, the fourth largest city in Greece. The successful applicant will join a project that aims to fully document, curate and increase the accessibility of the Stratigraphic Museum collections. S/he will be responsible for the curation and databasing of the collections in collaboration with our part-time staff member. S/he will also be responsible for the induction and supervision of interns. In consultation with the Curator and other staff of the British School s/he will be involved in the further development of the project and of the EMu database. Applicants should hold a graduate degree in Museum Studies or Archaeology. They should have experience of archaeological fieldwork and either the curating of archaeological materials or post-excavation processing of excavation material. Experience with EMu or similar database systems is essential. Experience of living overseas and an interest in the archaeological study of ceramics is desirable, as is an active research agenda for the study of the material culture of Crete in any period. Closing date for receipt of applications: 11th October 2015. Interviews will be held by Skype. The appointment is open to candidates of any nationality. The anticipated starting date will be 1st December 2015. For details of the British School at Athens and its facility at Knossos, visit the relevant sections of the School’s website at www.bsa.ac.uk. Informal enquiries should be directed to[email protected].